As you may recall, the main New Year’s resolution I decided on for 2018 is to love myself, but I’ve realized that this is a problem that is so common and ubiquitous that I couldn’t just keep my journey to myself. I should love myself. And you should love yourself! I think it’s important for everyone to learn to love themselves. Self-love is the foundation for everything else: confidence, self-improvement, happiness. For example, people are always looking to become more confident, but they don’t realize that their lack of confidence stems from lack of self-love. And the thing is, you may be partaking in so many toxic behaviors and habits that are holding you back without even realizing it! So I am here to share with you 8 things you should try to stop saying if you truly want to love yourself. Unless you’re being cute about it, like, “Gosh, I’m so awkward, giggle giggle hair flip,” (which… actually might be kind of annoying) stop drowning in the despair of your own awkwardness. This happens to me a lot when I think back at social interactions that had seemed fine in the moment, but my brain wanted to replay and reinterpret it over and over again, making it more and more awkward each time because, I don’t know, my brain hates me. It’s not like when you eat with your friends and you think they said something a little weird or awkward, you think about it for the rest of the day. You don’t lie in bed at night trying to fall asleep but tortuously thinking to yourself, “Wow, she was awkward.” You forget about it almost immediately and move on! So no one else is thinking about whatever you thought was awkward, either! So be as easy with yourself as you are with your friends. And honestly, you were probably not that awkward. If you were, just play it off. Love your awkwardness and own it! Ideally, I’d say don’t care about what other people think, anyway, because they play no part in self-love, but I know this is way harder to do than to say. In that case, have you ever noticed that the more awkward or apologetic you are, the more uncomfortable the other party feels? But the more forgiving you are of yourself, the easier it is for others to let it go, as well. Plus, the more you say you’re awkward, the more it becomes a self-fulfilling prophecy (“Harry, yer an awkward,” “You’re the boy who awkward”). Don’t fall into the black hole of comparing yourself to another person! I know, I know, it’s so hard these days, especially with social media rubbing picture perfect lives into your face. But remember, it is a full-time job for many people on Instagram to create and capture the perfect moments (if anything, do a healthy cleanse and unfollow those who make you feel bad about your own life, intentional or not). Everybody is struggling in their own way, and we are all different, so there really is no point in comparing yourself to someone else. Let your parents bring up so-and-so’s Ivy League daughter or so-and-so’s successful son as long as you are able to block them out and not fall into the toxic trap of also comparing yourself to others and what they’ve accomplished. Love yourself and your own capabilities. You really can do anything you set your mind on. Sure, I might read some excellent writing on-line and want to shrivel up in a dark corner, too scared to touch the keyboard, daunted by others’ syntax greatness and verbal prowess, but I am trying to remember that I can be a good writer myself (not “as good as” this specific author or “better than” this other writer because positive comparing is still comparing). I only need to get over that fear and continue practicing to write diligently. Trust that you are able to; and therefore, you can and you will. Comparing yourself to an idealistic vision of yourself is still harmful comparing. Most likely, this vision you have for yourself was formed by external factors anyway, like familial expectations or social standards. You are who you are. You can say, “If only I were skinnier, prettier, smarter, faster, wealthier,” all you want, but none of that is going to help you if you can’t learn to love yourself, flaws and all. Not saying that you shouldn’t try to improve yourself. You can work your body to be faster and your brain to be smarter, because self-improvement is a part of self-love, but saying something like this is very negative, ungrateful, even self-pitying and especially self-defeating. Ouch, right? Try to twist this into a positive affirmation. Say, “I can become smarter!” and set specific goals, like, “I think I can become faster if I go to the track every morning before work and time myself.” Phrasing is surprisingly important because saying “If only I were…” or even “I wish I were…” sounds like these are hypothetical situations that have zero possibility of coming true. Stop with the wishful thinking and stop being your own biggest obstacle! Acceptance and realism are also important. Accept that you won’t be America’s next top model or the future Usain Bolt, but make the choice to focus on the positives you do have and the possibilities out there. Are you breathing right now? Are you aware of your surroundings? Your heart is beating? Then you, my dear, have a life! And I’m sure it’s a wonderful one. I fall into this trap a lot of the time. As an introvert and homebody, I love spending time with myself alone, but this sometimes makes me wonder if my life is sort of lame. I find myself always saying, “Yes,” when a friend asks me, “Are you free on this day at this time to hang out?” and I think, “Dang, I am just always free. I have no life. I need more hobbies.” In this day and age, we are all about being busy. It makes us feel important to be unavailable, like we have some glamorous life filled with impromptu jet trips to Milan for work or a packed schedule with all our different squads and besties. But you can relax. You have a life. Staying home to read is living. Stuffing your face with popcorn while you watch Parks & Recreation for the billionth time on Netflix is living. And actually, I want to recommend that you actually just hang out with, well, you. People feel accomplished and validated when they’re always out on social gatherings, but if it gets to be too much, they are attempting to fill up a void that is actually hungry for some self-love and TLC. Even you extroverts out there! Not wanting to be alone sounds like you don’t want to be with yourself. 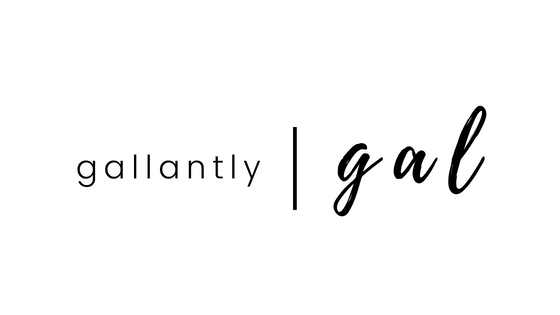 See Also: Gallantly, gal's podcast Living Gallantly is now live! Be by yourself with yourself, and be proud of this life because it’s the only one you’re gonna get. And that is why my next point is to stop saying yes to everything! Sure, you want to be part of the social loop and not asking, “Is everyone hanging out without me?” like Mindy. I get that. I mean, I even have her book (super fun so here’s a shameless link* to it). But don’t go out for the sake of not being left out. Make sure you put yourself first, and especially if you’re an introvert, you shouldn’t feel guilty about not wanting to go out. But this goes with other scenarios, as well. It can be exhausting to always look out for others and be there for others when you need some “me time.” You need to put yourself first sometimes, so don’t always say “Yes” to everything automatically. 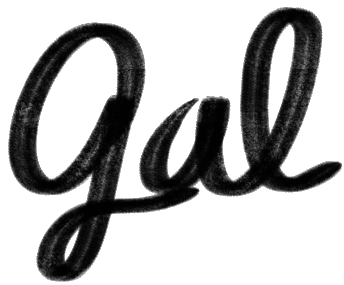 You should never be made to feel guilty about saying “No.” You shouldn’t feel bad about prioritizing yourself–and this is an important lesson to absorb fully if you want to be a self-loving person. You are aware of your needs, and you can place importance on your needs. Saying “Yes” doesn’t make you selfless. Saying “No” doesn’t make you selfish. And “No” can be empowering in its own way, in scenarios where you are not getting what you deserve. A company tries to give you a super low salary? Don’t just say, “Sure.” Be like, “Aw, hell no.” Never say the affirmative to settle for something less than you deserve. Imagine your baby comes to you and says, “I can’t make the swim team.” You’re not going to be like, “Duh. Of course you can’t. Wait, did you really think you could?” Cue cruel cackling. If you do, you’re a horrible parent and I hope your child has Matilda powers. But then think of yourself, telling yourself you can’t every single day. You let yourself fall to the ground, and you don’t bother to pick yourself back up. You believe that you can’t, even when you never believed for a single second that the people you love couldn’t. There was no doubt in your mind that these people you truly loved had it in them to do what they wanted to do. So why do you doubt yourself? Is it because other people told you that you can’t? Well, if those people aren’t going to love you the way you deserve to be loved, you’ll have to do it yourself. Love yourself! You can. Of course, apologize when you’re entirely in the wrong–but it’s time to put an end to the profuse apologizing! There isn’t a need to say that you’re sorry about every little thing. Have a little self-respect, and a slice of self-love with that, too. It’ll be quite liberating to not apologize for things that are out of your control or honest mistakes. You don’t owe anyone a “sorry” every time you arrive five minutes late, fold someone’s shirt wrong, interrupt somebody, etc. There are other ways to go about this instead of feeling bad and guilt-tripping yourself every time. You’re not Canadi–wait, are you? Using these alternatives show your compassion as well as desire for growth and improvement without that sinking feeling of shame. “Sorry” is a very guilt-laden word; and therefore, using it too often could really lower your self-esteem, and you love yourself too much to take that kind of hit repeatedly, right? Well, I mean, of course. Let me point out, though, that lots of people just throw it out there without really thinking about it. We gorge on too much food when we’re supposed to go on a diet and then say, “I hate myself.” We say something stupid or awkward to a crush, go home, and say, “I hate myself.” We accidentally blurt out something that was supposed to be a secret, and moan, “I hate myself.” It’s not meant to be taken too seriously, but again, said quite often enough, it can leave a lasting impression. Remember, the purpose of this is to love yourself, love yourself, love yourself. So stop being so harsh on yourself! Replace this phrase with “I love myself.” Rather than focusing on and using the negative, focus on the good and use the positive. So every time you do something great, proudly say to yourself, “I love myself.” You hold the door for someone who thanks you. You walk away whispering to yourself in a non-creepy fashion, “I love myself.” Or, you know, shout it out for the world to hear. You can even do this when you’re feeling particularly down and need a pick-me-up. Of course, don’t get too arrogant about it, but this can help you raise yourself up, whereas “I hate myself” punches you in the gut so you’re left in fetal position on the ground. Don’t be a fetus. I’m so glad you liked it! I hope it will help you. And I completely understand that feeling of guilt over some TLC time. I hate that! If I’m not doing something productive, I feel like I’m wasting my time, so I don’t fully get to relax or enjoy something like watching TV. I had teacher in elementary school who wouldn’t allow her students to say “can’t.” To her, it was a four-letter word that was best never said. I never understood why she was so adamant about it but you’re right. We have to lift ourselves up instead of constantly tearing ourselves down. I’m constantly finding more ways to be more confident and this blog is a great start. Yay! I hope you share the things you learn on the way to becoming more confident, because I could always use more tips and advice. I think that teacher sounds great, by the way. Teaching positive enforcement from a young age sounds extremely wise. Awesome tips to keep in mind! Learning to love yourself and have more confidence it takes time so always be kind to yourself and have patience! The Yes is so important. I learned the hard way to stop being so passive and just say NO! Yesss put yourself first! You have the right!